Would you like to see a dual camera system on the next Google Pixel phone? Dual cams seem to be turning into a fad as of late, though, manufacturers still can't come to an agreement on how they should be utilized. Some stick a wide-angle lens for the secondary camera, some have a telephoto lens for optical zoom-in, and others don't have a particularly special lens over the second camera, but its sensor is used purely for “assistive” purposes, collecting information on objects, distance and so on. Would you like to see a dual camera on the next Pixel phone? No, enough with the shenanigans. Yes, a telephoto lens, please! Yes, a wide-angle lens would be perfect! Yes, an assistive lens (a-la Huawei P10) would be great! No, enough with the shenanigans. Yes, a telephoto lens, please! Yes, a wide-angle lens would be perfect! Yes, an assistive lens (a-la Huawei P10) would be great! Ah! I'd love to see a wide-angle lens like The LG G6 on The Pixel 2… All in favor say ‘aye’… G'Day! I hope Google makes a Tango smartphone. So that means multiple cameras (3 to be exact). A great single camera would be much more useful. No. Tired of the fake bokeh. I really want a telephoto lens as I feel it's very useful in certain situations where you need to zoom in on subjects without losing quality so that you can discern b/w the individual pieces of info in the photo. Such as in a laboratory session, with slides being displayed on a projector and you are sitting in the back of the room. You could get a clear pic of every slide and zoom in without worry. I think such use cases make the telephoto lens a great choice. One monochrome and one RGB sensor, RGB sensor's aperture should be 2.0 and monochrome should be atleast 1.8 . Both sensor size should be 1/2.3 inch. That's my dream pixel phone's camera configure ration. its more like "they like to build" rather than "we like to see". Nexus 6P and Pixel already get the best pictures with HDR+ - Dual Cameras is just another marketing gimmick that distracts from things that matter, like battery life, front facing camera quality, and Stereo Speakers should be the standard by now. 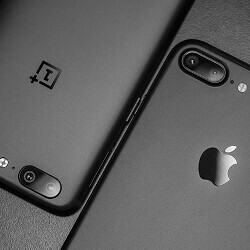 I would like to see a two camera setup that utilizes the new Qualcomm color / b/w combination to improve low light capabilities. Only if it improves the camera experience. I don't want Google to add one because people think phones should come with a dual camera setup, and provides no upgrade other than to drive up price.